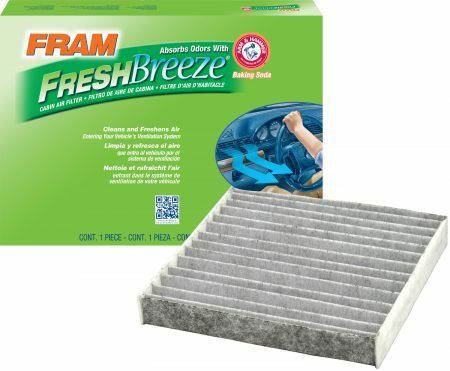 Purchase the FRAM Fresh Breeze Cabin Air Filter on Walmart.com. 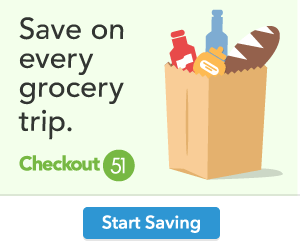 Only $13.97, regularly priced $18.94 + Free Store Pickup. Did you know the air inside your vehicle may be six times dirtier than the air outside? A FRAM Fresh Breeze Cabin Air Filter takes just minutes to install and filters up to 98% of road dust, dirt and allergens. Outside air that flows through your vehicle’s air conditioning, heating and ventilation system can expose passengers to contaminants such as road dust and pollen. Fresh Breeze Cabin Air Filters use the natural properties of Arm & Hammer Baking Soda to absorb odors and freshen the air you breathe inside your vehicle. FRAM Fresh Breeze Cabin Air Filters are the ONLY cabin air filters that use the natural deodorizing qualities of Arm & Hammer Baking Soda combined with carbon to clean, freshen and deodorize the air your breathe. Activated carbon embedded in the filter helps to adsorb noxious gases such as exhaust fumes, improving the air quality. FRAM and Arm & Hammer have joined forces to create a premium cabin air filter to help absorb odors and improve the air quality inside your vehicle. Breathe clean while you drive and protect your family from dirt, dust and allergens with a FRAM Fresh Breeze Cabin Air Filter today! FRAM Fresh Breeze Cabin Air Filters remove up to 98% of dirt, dust, pollen, and allergens from entering your vehicle. Arm & Hammer Baking Soda freshens the air you breathe. Activated carbon helps to filter outside and inside contaminates. Helps protect your vehicle’s heating and air conditioning unit and keep it working efficiently. Installs in 15 minutes on average. Change every 12 months or 15,000 miles.